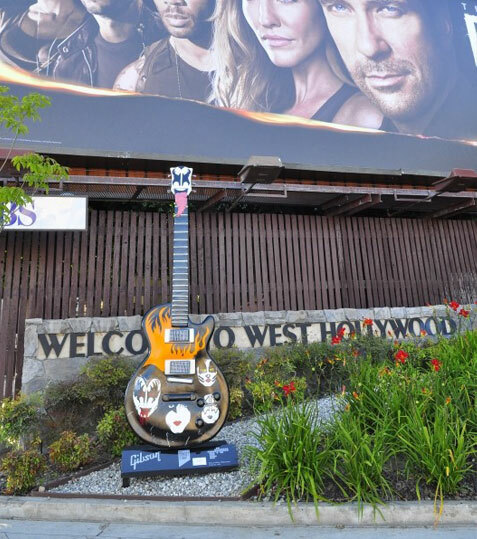 In August 2010, THE SUNSET STRIP and Gibson Guitar launched GuitarTown, a public art project that features 26 10-foot tall fiberglass Gibson Les Paul model guitars strategically placed on the legendary Sunset Strip in West Hollywood. 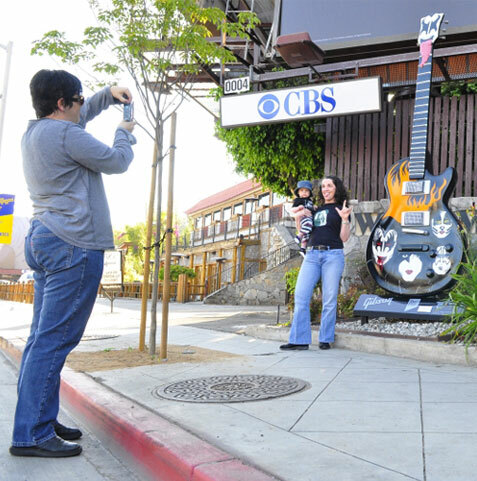 The oversized Gibson guitar sculptures were created by locally and nationally acclaimed visual artists and placed along the 1.6-mile Sunset Strip in front of the boulevard's landmarks and businesses, including the Whisky A Go-Go, The Roxy Theatre and Sunset Marquis. 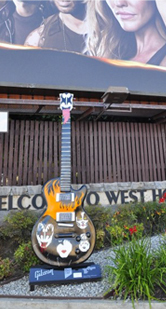 Each guitar sculpture celebrates a musician, personality or artist unique to The Sunset Strip's history and Gibson Guitar. The project unites The Sunset Strip's art, music and business communities and will later raise funds for numerous charitable organizations. 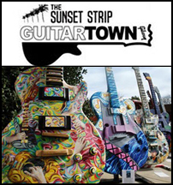 The Sunset Strip GuitarTown opened in mid-August 2010, prior to the third annual Sunset Strip Music Festival. 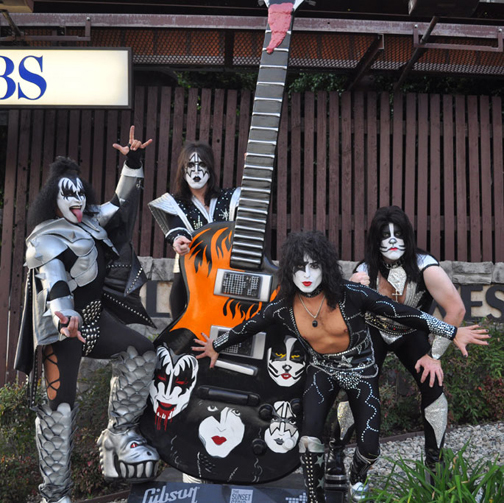 The Sunset Strip GuitarTown is supported by the City of West Hollywood and the West Hollywood Marketing & Visitors Bureau.
" 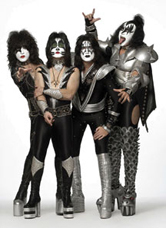 I chose to do my guitar as a tribute to KISS because as a fan of rock and roll, I felt their image and style were well suited to represent rock in a big way." 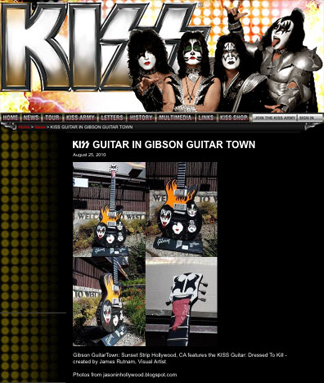 - James Rutnam, Visual Artist, "Dressed To Kill"
The KISS guitar - which was designed by Los Angeles website designer James Rutnam is in good company with other custom-designed Gibson guitars inspired by the music of Ozzy Osbourne, Slash, Jimi Hendrix, The Doors, Motley Crue, The Runaways, Brian Wilson, Peter Frampton and more. The guitars will complete a "tour" of The Strip and then be sold at a Gala Auction, with all proceeds benefiting nonprofit organizations and charities. 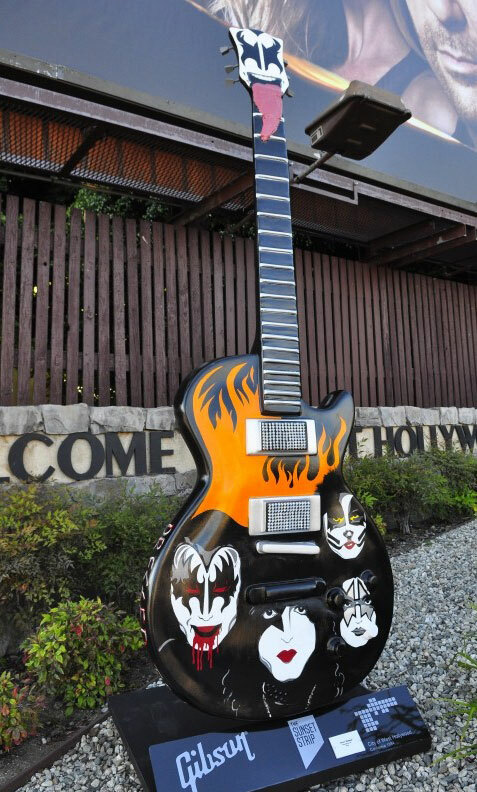 The Sunset Strip GuitarTown project will be administered through the Gibson Foundation, the philanthropic arm of Gibson Guitar Corp., which is dedicated to improving the quality of life through its support of the arts, education, health & welfare and environmental causes. More photos of the guitar and press conference at The Rainbow on my facebook here. Looks like this family rocks together! 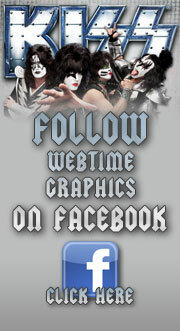 Send me your photos! As the Sunset Strip Project draws to an end, a limited edition, commemorative auction catalogue highlighting the Project will be produced. 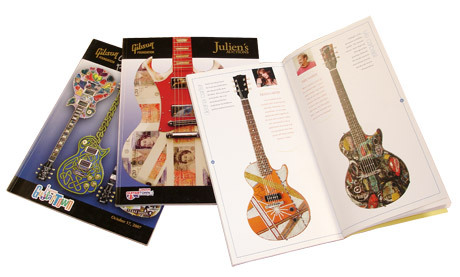 This vibrant collector's art book will be printed in limited quantity and will include photographs of the guitar sculptures and showcase guitars. It will also include profiles of the visual artists and music artists who supported this project. This auction catalogue will serve as an exceptional memoir of the Project; please check back for more information as details arise. Thanks to www.chinashopmag.com for the pics. 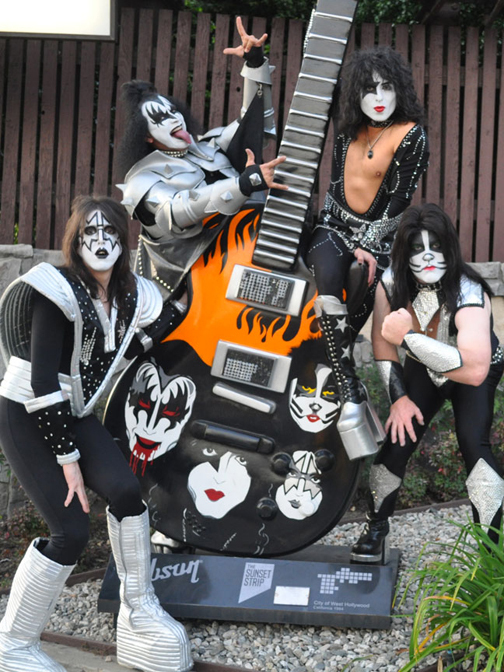 More photos of the KISS guitar and press conference at The Rainbow on my facebook here. 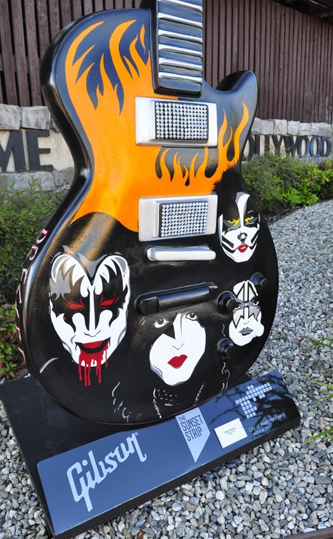 The KIss Guitar "Dressed To Kill"
James exhibits his art in galleries all over Los Angeles. In his art James explores musical themes and contemporary ideas using strong modern technique. James is presently working on a series of paintings that visualize iconic rock themes as the subject.